The web site Patently Mobile, which regularly watches for new patents related to mobile technology, has discovered a new patent application from Samsung which reinforces that the company is serious about this technology. The US Patent and Trademark Office (PTO) last week published another patent application from Samsung which reveals still more of their ideas for using flexible displays. 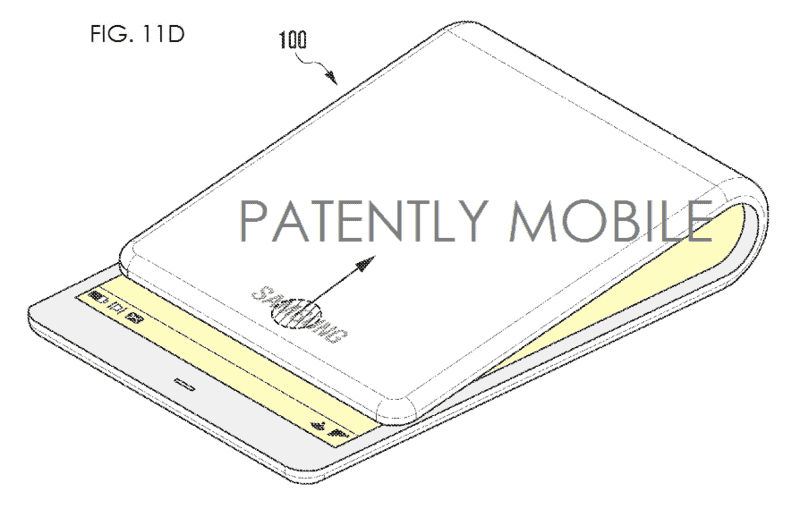 This patent shows a design for a phone that can be folded in half, like a wallet, and that can be folded in both directions without damaging the display. The patent goes into detail about how the design can be folded at any point along the length of the device, and hold the folded position, allowing it to be used as an alarm clock (see drawing above the post), or a picture frame (see below). For more illustrations, and more details, see the Patently Mobile article. Of course, there’s a big difference between a patent, and a ready-for-market product, but Samsung is certainly exploring some fascinating technologies and designs. A phone like this will require a major rethink in how phones are manufactured, as the entire phone needs to be flexible. Obvious questions are where and how you mount the chips themselves, and whether a battery can be made flexible enough to support this. But we think it demonstrates there is still room for design innovation in the smartphone space. 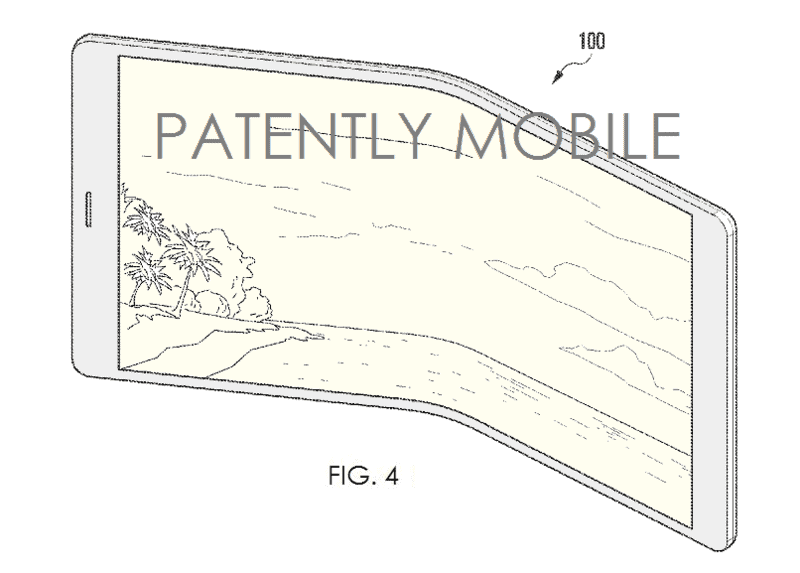 We can’t wait to see Samsung unveil new devices that take advantage of their flexible display technology.